With unit colors cased, Capt. Trenton Conyers salutes Lt. Col. Dan Bartlett during the deployment ceremony for B-229. 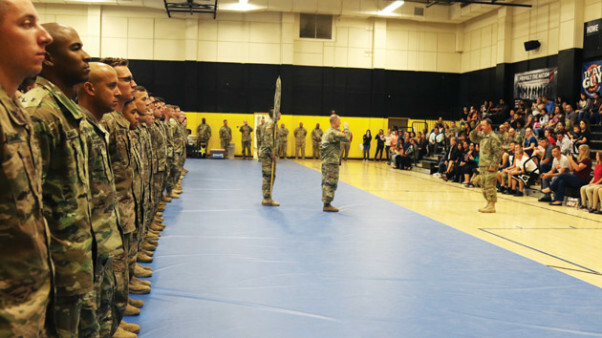 FORT IRWIN, Calif. — On Oct. 2, deploying Soldiers from the 2916th B-229 Company arrived for a sendoff ceremony at the Freedom Fitness Center to a gym filled with friends, family members and loved ones. The Soldiers will deploy to strategic locations in Iraq in support of the U.S. Army’s mission there. They will relieve troops who have been deployed to the region from various CONUS units as the rotation continues. 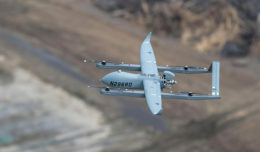 The B-229 Company is an integral part of the National Training Center at Fort Irwin. 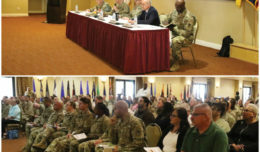 B Company Support mission is to exercise mission command for sustainment and select aviation support operations across the National Training Center Area of Operations. They set the theater and synchronize distribution and sustainment management to ensure readiness. Within the Brigade they provide support to the installation, sustainment for the rotational units, and trained and ready forces for worldwide contingency operations. The sendoff ceremony at Freedom Fitness Center was somber, but also showed that the Soldiers of the B-229 are ready, standing tall and fit to fight. Alex recently married another Soldier in the 2916th, who has PCS orders for Korea in hand. She will be departing to Korea while he will also be serving his country abroad. Capt. 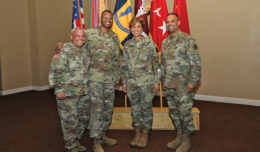 Trenton Conyers, commander of B-229 Company, noted that over 50 percent of his deploying Soldiers are wearing combat patches already and that he is grateful for the experience. “The company has checked all blocks and can’t wait to support the Army’s mission,” he said.